Quickly rewarding your pet dog during obedience training sessions can support quick learning of tricks and commands in them. A treat bag which can help you to feed your dogs swiftly will be an added motivation for your pet to learn more. At PetsWorld, we stock top quality Treat Bags for assisting an active training session of your canine. 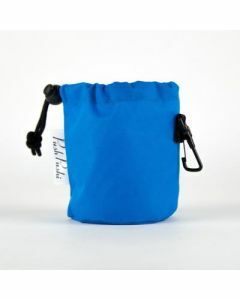 The treat bags are made of high quality shell fabric which protects any kind of treat that you store inside it. The bags can be easily be attached on the waist, clipped on your belt or carried over the shoulders. You can also store toys inside it for having a fun playing session in the park. They are big enough for storing a tennis ball too, for a game like a fetch. The treat bags are machine washable for supporting easy cleaning.